L'Éntrepôt Marine Inc., located at 1285 boul. Arthur-Sauvé in Laval, will be the spot on Saturday, July 5 (9:30 a.m. to 5 p.m.) to dispose of expired flares. Under the Boating Safety Contribution Programme (BSCP) the Federal Minister of Transport Lisa Raitt recently announced funding for a Safety Equipment Education and Pyrotechnic Flare Disposal for Recreational Boaters. The purpose of this pilot project is to educate boaters on boating safety equipment, the care and maintenance of that equipment and how to safely and effectively use and to dispose of flares. 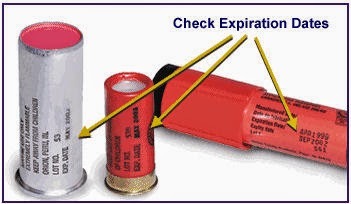 If your flares have a manufacture date of 2010 or earlier they have or will expire this year. You can't light them, throw them in the water or in your household garbage. Disposing of expired flares has been an ongoing dilemma for boaters across the country. To help boaters dispose of expired flares in a safe and environmentally responsible manner Canadian Power and Sale Squadrons (CPS) and Canadian Industries Limited (CIL) are hosting Safety Equipment Education and Flare Disposal Days. On these days you will be offered the opportunity to learn about required safety equipment and you can bring your outdated flares to be properly disposed of, free of charge. In accordance with Transport Canada requirements, flares are approved for four years from the date of manufacture. Typically, this means that boaters need to replace their flares every third or fourth boating season. If they have a manufacture date of 2010 or earlier they have expired or will expire during this boating season, boaters are required replace them. There are four types of flares: Type A - Rocket Parachute, Type B - Multi-Star, Type C - Hand-Held, Type D - Smoke Signal. For further information on the different characteristics of each type, and the quantity required for your vessel, log on to www.boatingsafety.gc.ca. Walter Evans, a member of Lake St, Louis Squadron based at the Royal St. Lawrence Yacht Club in Dorval, says that attempts to get rid of outdated flares have been ongoing for years. "We tried police stations and fire stations but no one wanted them," he said. "This is a great opportunity for all leisure boaters to safely dispose of their unwanted flares. The rules for usage are complex. All vessels greater than six metres on Lake St. Louis must have flares on board. The number and type are determined by the size of the boat. Vessels under six metres, including sailboards, paddleboats , watercycles, personal watercraft and power pleasure craft, must have either a watertight flashlight or three Canadian approved flares of type A, B or C. Flares are not mandatory if you can never be more than one kilometre from shore." For a list of Safety Equipment Education and Flare Disposal Days and locations visit: www.cpsboat.ca or call 1-888-CPS-BOAT Canadian Power & Sail Squadrons. CPS is a community of passionate boaters across Canada who are committed to safety, boating education, and having fun on the water. It is a national volunteer driven organization with a long-standing reputation for offering high-quality educational courses.